More than one million people left it until the eleventh hour to apply for a passport last summer and risked delaying or missing out on their summer holidays. 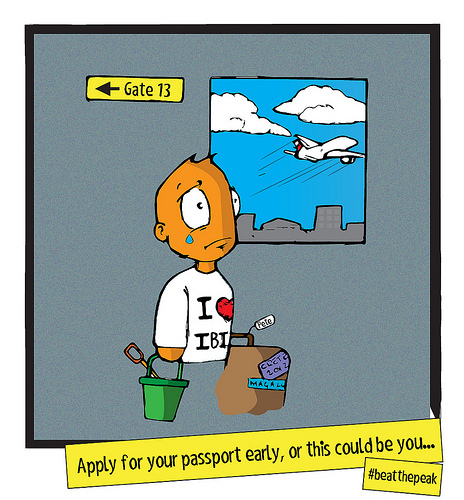 This month the message is clear – check your passport and apply early. And to remind people the Identity and Passport Service has launched Passport Pete, a cartoon about a man who didn’t check his passport in time and missed out on a holiday.